I cannot wait until Halloween! The little one is going to be a shark! It is hysterical. October was a fun one. In the kitchen, I was pretty into quick meals. Work is busy, the little one is busy and hungry at dinner time, and there are always 1,000,000 things happening. Or sometimes we just want to play and then we’re uber hungry. 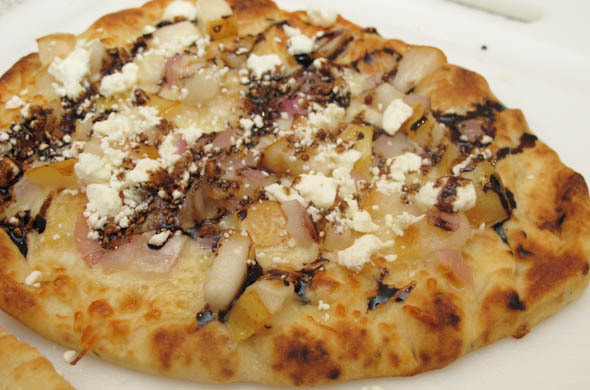 I did a flatbread with pear, feta, and balsamic which was awesome. Make some flatbreads on naan immediately. We’re still grilling over here so it is still burger season where I made a burger with Cobb Salad toppings. I loved it. Mr. J often gets blue cheese on his burgers so this was a natural fit. 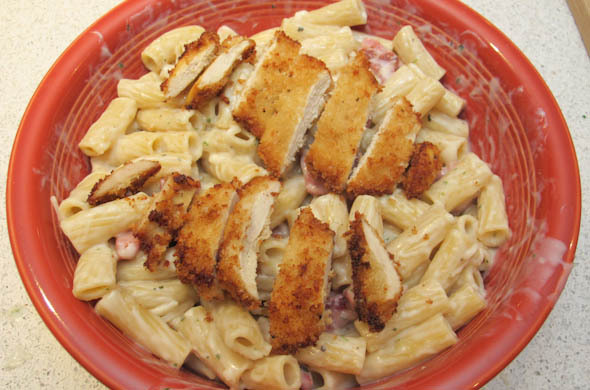 Another fav this month was a chicken cordon blue pasta. It was so good. 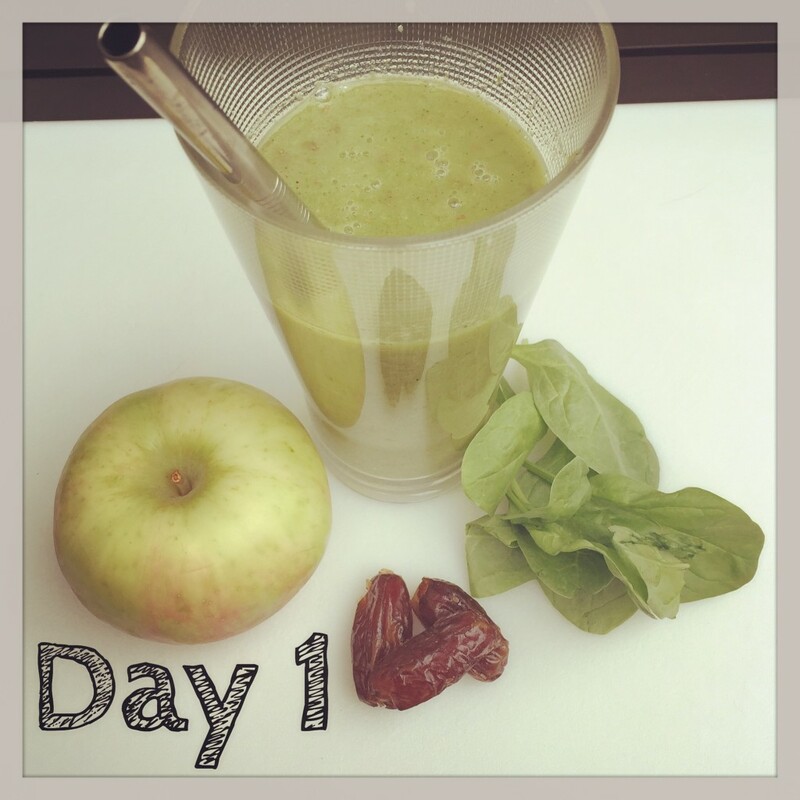 The Green Smoothie Challenge – I did it!! 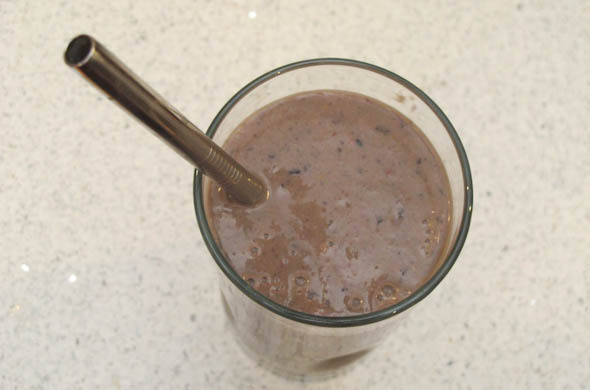 At the halfway mark, I had learned what I really like in a smoothie: frozen & milk based. There were some really great recipes. I’m glad I did it. I probably won’t make one daily from now on, but 30 days of smoothies was great. One of my favorites was a banana & coco powder and another favorite had pineapple/mango/coconut oil. I have a whole new spectrum of ingredients for future smoothies. He’s too funny. I love his chuckle. I really love his sleeping ability. What a champion sleeper! We’re so lucky. The little dude goes to bed at 7:45pm and gets up at 8-9am on the weekends, or when we wake him at 7 for daycare on weekdays. 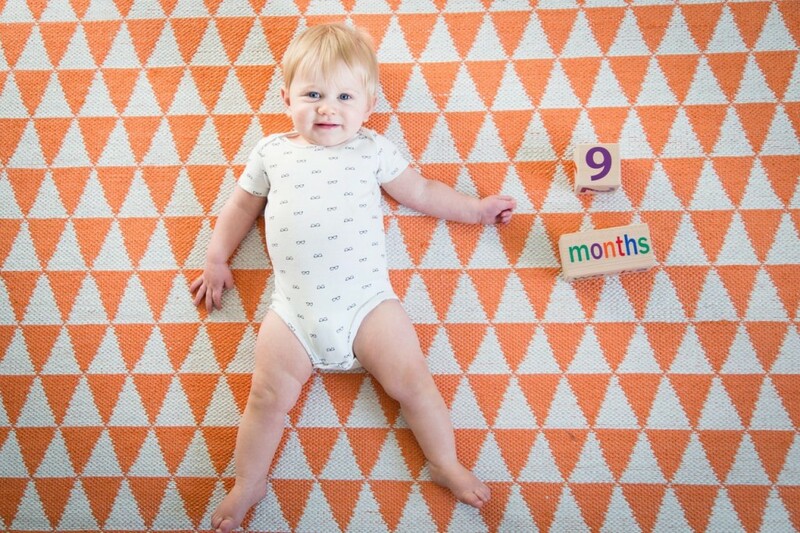 He crawls then adds a leg in there when crawling isn’t fast enough. He magically began standing unassisted. He’ll pull up to standing and then casually let go. He’s eating all foods. He literally eats anything we give him and doesn’t seem to have anything he doesn’t like. He’s now eating people food for breakfast & dinner and just a few bottles. He has 8 teeth! I can’t wait to dress him up for Halloween! Eeek. It is just too cute. The Year of the Earring: I got these, just in the nick of time. 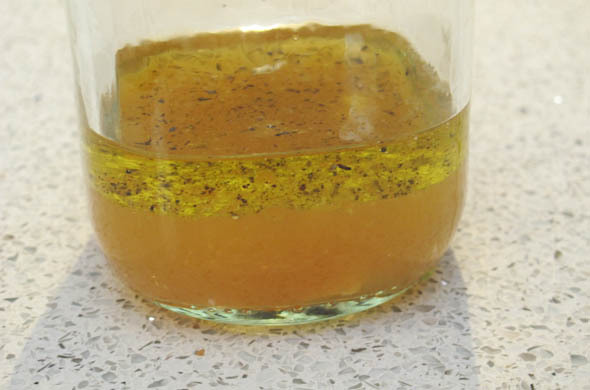 make more salad dressings: I made a dressing with some apple cider. factor more time into how long every-day tasks/trips will take: Ehh. Mornings haven’t been as quick moving as I need it to be. Otherwise, I think I did pretty well. 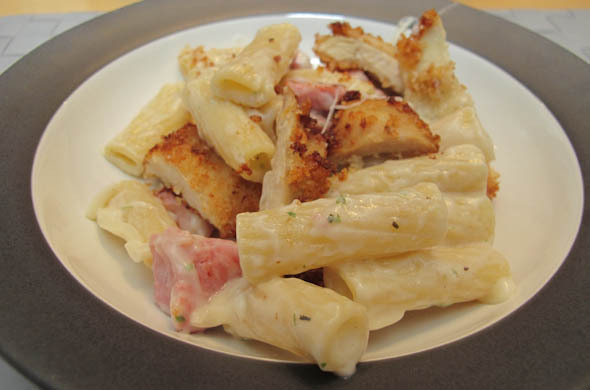 recreate restaurant menu items: Sure did! 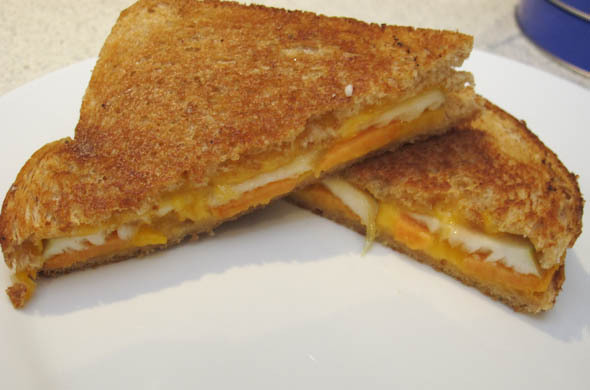 My copycat Roxy’s Grilled Cheese had apple, cheddar, and sweet potato. be more adventurous with my reading selections: I’m reading I am Malala but it has been slow going. I’m almost through the podcast Undisclosed, if that counts. 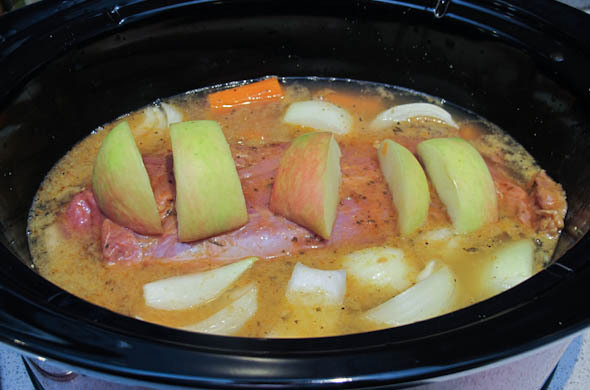 use the crockpot more: I did a pork tenderloin in the crockpot. It was good to have something to just cook away all day. seafood once a month: Nope, I’m behind on that. One minute fall is in the air and the next, it warms up to 70-degrees. Welcome to New England. I wanted some fall flavors for a night that was really quite warm. I decided to make a copy-cat Roxy’s Grilled Cheese. I used apple, sweet potato slices, and cheddar. Then I grilled it in brown butter. Hello. This is what dreams are made of. 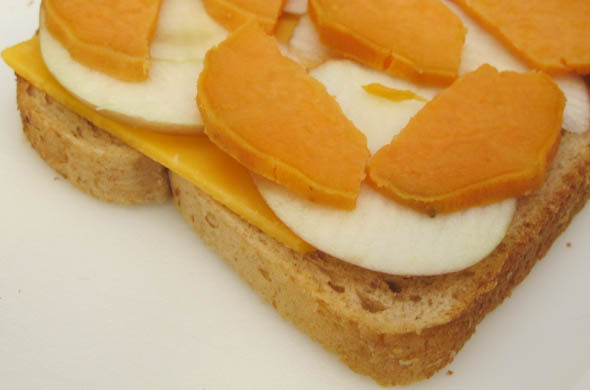 Layer the bread with cheese, apple, sweet potato, and another slice of cheese. Brown the butter over low, being careful not to let it burn. Pan fry the grilled cheese until very lightly tanned on each side. Then, spoon some brown butter onto the bread and flip the brown butter side down. Grill a few minutes, then repeat for the other side. Give it a minute before slicing so all the cheese doesn’t escape. I loved this. The brown butter really made a lovely touch…so worth it. I liked the apple crunch with the soft sweet potato and sharp cheddar. 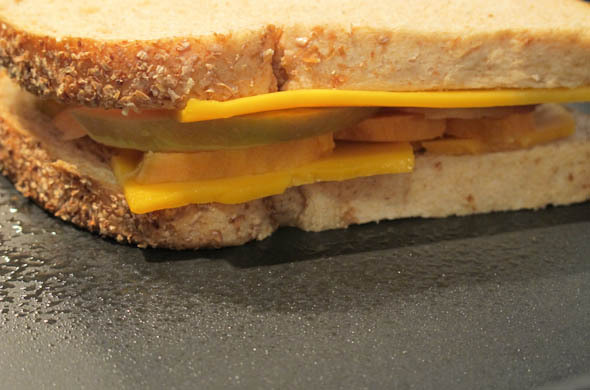 I’ll admit, some American Cheese would have been have been a good addition with the cheddar. 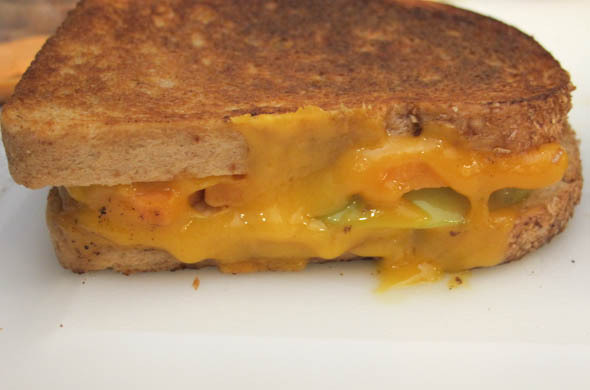 I will totally repeat this grilled cheese again this fall. I’ve been thinking about what this month’s salad dressing would be and I wanted to make a vinaigrette with apple cider. I looked online and saw that everyone uses apple cider vinegar, but I didn’t find one with apple cider. Could it be? 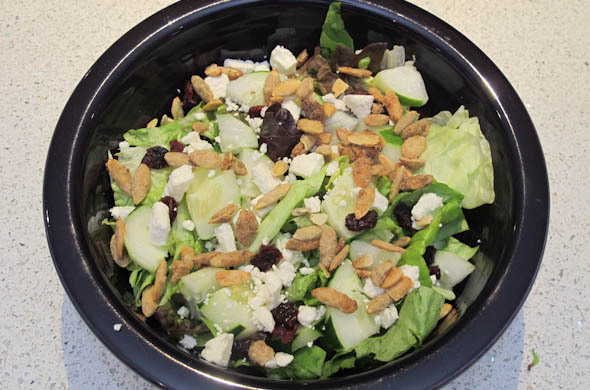 My salad was full of fall flavor: butter lettuce; cucumbers; dried cranberries; feta; pumpkin spiced pumpkin seeds and the dressing had a sweetness from the cider and a little tang from the cider vinegar. 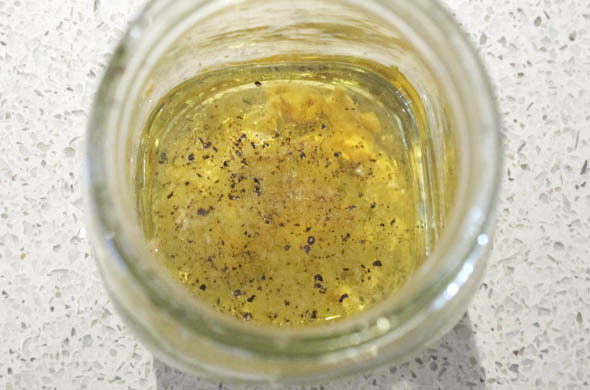 Put oil, vinegar, mustard, salt, and pepper into a jar. Add in the apple cider. I meant to use some pecorino or shaved parmesan but I forgot to grab some at the store. I seem to always have feta around so in it went for some saltiness. The pumpkin seeds are crunchy and the dried cranberries are tart and chewy. I’m gently hovering between “it’s crazy time and we need to be eating more prepped freezer things” and “it’ll be crazy time and I need more prepped in advance in the freezer”. I need to do some better analysis of what’s there. One thing I’ve hung onto for months was a pork tenderloin. I almost defrosted it for the grill but then I knew I was months behind on wanting to make more crockpot things. The problem is, so many crockpot foods are beef and I don’t eat red meat. Or they’re weird things people put in the crockpot that don’t get better from cooking all day. I wanted this to be pork-onion-apple-y but forgot about the real apple idea until we were 2 forkfulls into this. 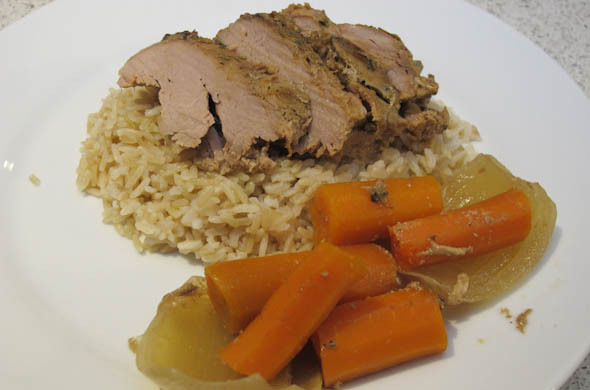 I cooked the marinated pork tenderloin with carrots and onions in chicken broth & beer. I know. Sounds like a lot going on. I was sort of concerned it might be a bit too spicy for us so I wanted everything else to be flavorful, but to tone down the heat. Put everything in the crockpot, on low for 5-6 hours. 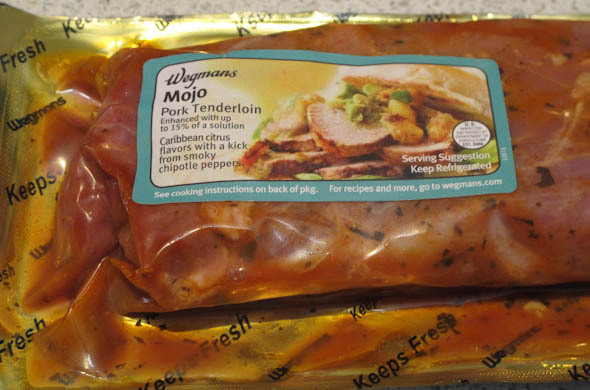 The pork is perfectly tender. I liked how juicy it was and I used a little drizzle on the rice. Mr. J is a gravy man so he made some gravy for his. 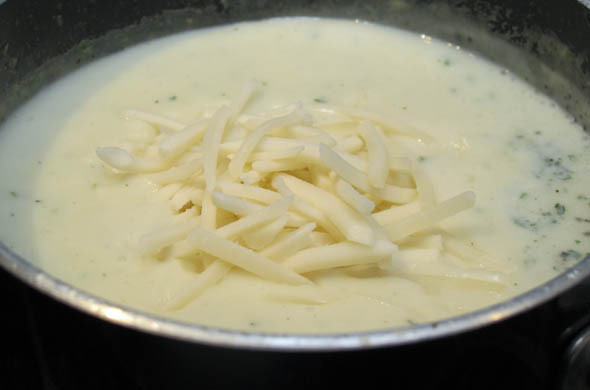 You could remove some of the cooking liquid and strain/thicken it a bit if you wanted more of a sauce. It worked out well, but probably wasn’t the most amazing thing ever. It was possibly the easiest thing ever. Leftovers worked well and the pups didn’t seem to salivate all day long. I’m just getting on the podcast bandwagon. I started listening to The Lively Show and I’m obsessed! Love it. I binge-listened to it and now I have to wait for new ones. I love her guests and who doesn’t need to add a little more intention to their lives? This one episode was about green smoothies. I was really enchanted by one of the founders of Simple Green Smoothies and loved that it wasn’t a weirdo cleanse. The 30-day challenge is a way to encourage people to consume more greens and for it to become a habit. I’ve been making smoothies regularly, but never daily, so I thought this was great! And 30 days of October sounds perfect, just in time for Halloween candy! 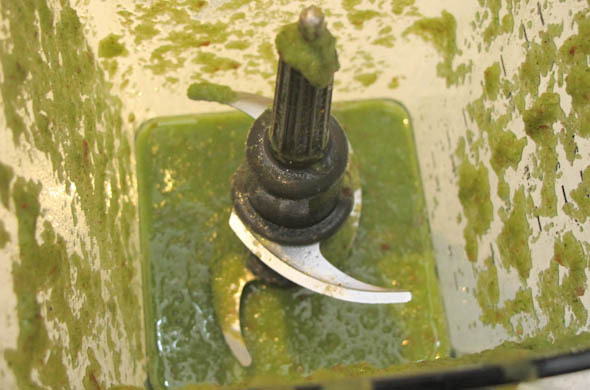 1- they aren’t sludge, the fruit provides flavor much stronger than the greens. 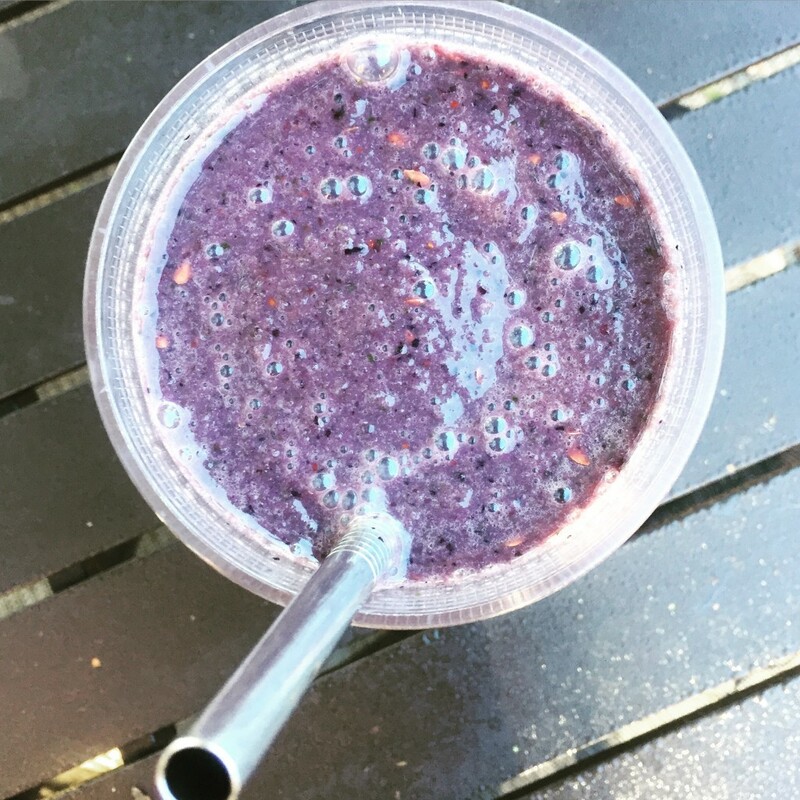 2- again, these smoothies aren’t a crazy detox they’re just part of creating a healthy habit. 3- does anyone actually think they get enough veggies? So far so good! I like the challenge to keep me on track! Dan’s famous apple pie – This was my first one. I loved the date in there. The cinnamon was so great. Why have I never included spices into mine before? The tip to blend the greens & almond milk was hugely helpful. 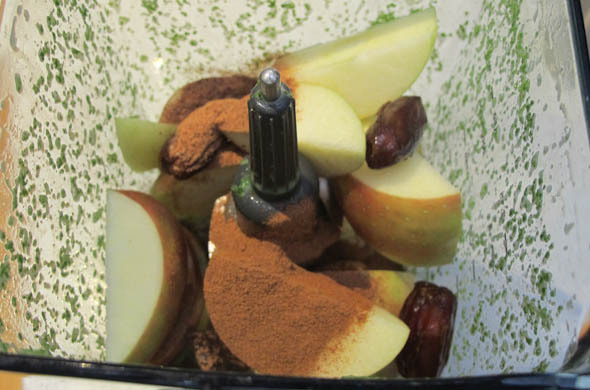 Blend them first and then plunk in everything else and blend again. Cherry on Top – I love the cherries with blueberries in this one. How beautiful is this? I added in some flax seeds. This would be a good starter if the color would scare you on the others. 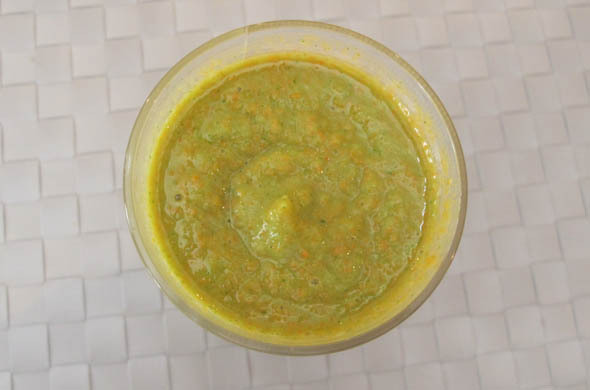 U Pick Me Up – This one is has a green tea base which is totally different than any smoothie I’ve ever made. I liked it, but it seems a bit watery. It was refreshing but didn’t quite feel like breakfast. Almond Blueberry Peach – This one is is kind of a muddy purple one but it seems really different from the others because of the almond/peanut butter. Shauna’s Carrot Cake – I don’t really cook carrots very often so putting them into a smoothie seemed like a good way to eat more colors. Green + Orange was a nice way to start the day. I don’t have a million-dollar blender so I steamed my carrots so they’d puree better. I was afraid the ginger might be too much but it was great! Check out the Simple Green Smoothies. How stunning are these? I learned I like smoothies to be milk based so I’ve tweaked a few and made them with unsweetened vanilla almond milk instead of water or coconut water. I used spinach and then found a mix of “juicing greens” that has a mix of spinach, chard, and beet tops. The smoothies have been my breakfast with another something else…1 slice of wheat toast or a hard boiled egg or a spoonful of peanut butter. The recipes make 2 but I haven’t gotten Mr J on board yet so sometimes I’ll save one for the following day. More often, I half the recipe and make it 2 days in a row. My cousin jumped on so it is nice to know somebody who is also making them! So, podcasts. I blew through Serial and I’m up to date on the Lively Show. What should I listen to?? I listen during my evening commute to pick up the little dude – my morning commute is for the news. I like learning something or following a story. What do you suggest? Chicken Cordon Blue is the best of all the flavors. Chicken. Yum. Ham. Yum. Swiss. Yum. I put it together as a pasta dish and loved it. The ham with the swiss are such great flavors together. I used breaded chicken cutlets I had made another time and froze. Then I used a sauce packet. Having these two elements pretty ready helped this come together quickly. Bring salted water to a boil. Heat the chicken in the oven until warmed (or cooked through). Cook the pasta until al dante. 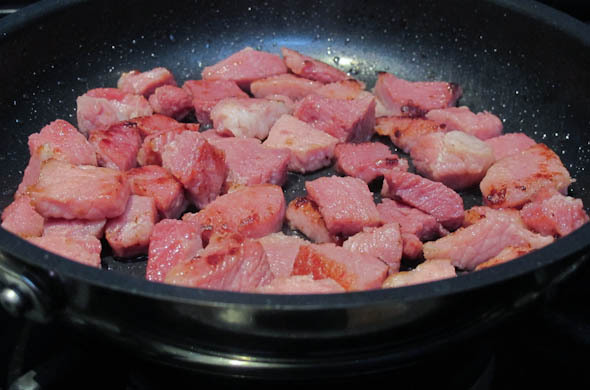 Heat a skillet to medium heat and pan fry the ham until caramelized and golden on each side. Warm the sauce through and add in the swiss over low heat. Stir well and keep warm. 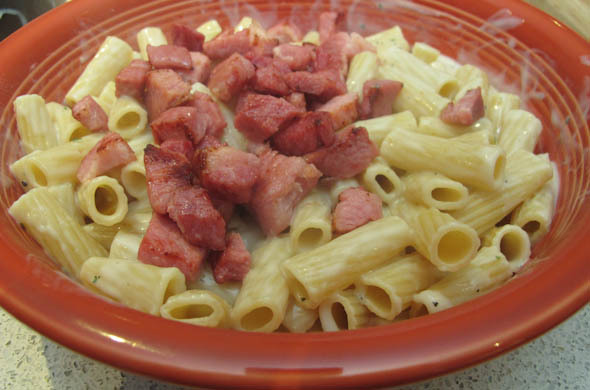 Mix together the pasta with the sauce and the ham. Slice the chicken and add it to the top. I loved this! The swiss flavor can be strong so I went a little bit on the lighter side for that. I liked the chicken being crispy and on the top rather than mixed through. This was so fast to put together. I could have made the sauce from scratch but this was quick. I could have breaded and pan fried the chicken for this but it was a great use for some leftover. Serving like this, you really only need a small amount of ham and a small amount of chicken. I made enough for a leftover serving for lunch the next day. Perfect! I was craving sweet potatoes and got it in my head that it should be the base of taco-night. I thought the sweet vs spicy seemed tasty and healthier than the average taco dinner of course with some tortilla chips & salsa on the side ;) Mine was some leftover taco chicken and Mr. J’s had ground venison. Half the potato and fork-fluff/squish the flesh. Top with black beans cooked with a little water, green pepper, and onion. Add some taco-spiced chicken or ground beef. Sprinkle with cheddar and enjoy! Mr. J had some ground venison that had been hanging out in the freezer. I loved this! 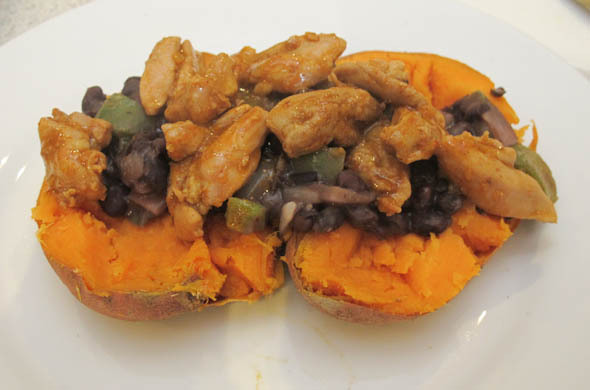 The potato was good vehicle for this and sweet potatoes are a good way to get some additional colors & nutrients into the meal. 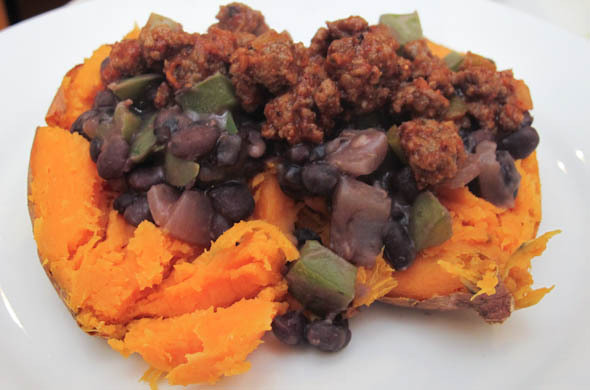 I don’t know that Mr. J would ask for this all the time, but it was super quick (since our taco meat was already cooked) and it is always beneficial to have us eating beans and sweet potato. The little guy ate some plain sweet potato. He’s loving the pieces of food! I’ve never loved quick dinners as much as I do right now. Get ready for lots this month & next! These are super quick and could be adapted in any way that strikes you. I was really wanting the combo of sweet pear & salty feta. While Mr. J and I ate this for dinner, the little one eat some pear pieces! Perfect! I grabbed naan which make for the best pre-made crust option and realized that not only do meatless meals make dinner come together faster, but cheaper. Win win! Check out the cost below. Spoiler: it is staggeringly awesome. Bring the balsamic vinegar to a boil and boil for 5 minutes, or until syrupy. Then remove from the heat. Chop the onion and saute over medium heat in just a little olive oil. Cook for about 5 minutes. 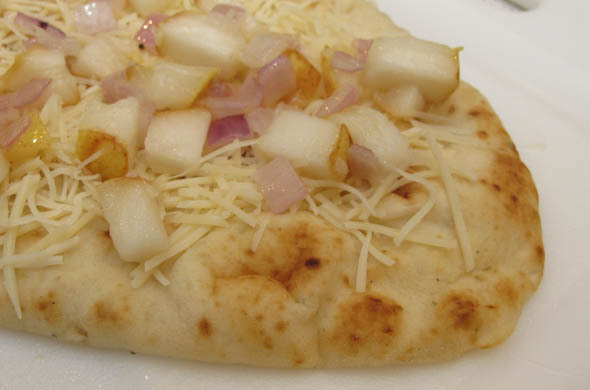 Put the naan onto a cookie sheet and top with mozzarella, then onion & pear mixture. Then bake for 10 minutes. Remove from the oven and sprinkle with feta. Then drizzle balsamic reduction over. I loved this combo. These are such easy ingredients to have around and can be your starting point. For me, it was an easy few-ingredient meal. It has potential to be whatever you’re in the mood for. total: $6.25 for 2, $3.12 each! I overestimated the feta. I used really little so this could even cost less. 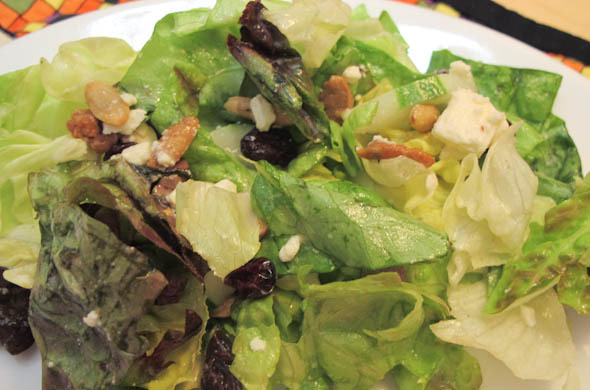 Grab the feta from the salad bar if you won’t use the leftovers. It lasts quite awhile or use the remainder for Peach & Feta Salad or Quinoa Bowls or this quick Greek Dip with Hummus or Greek Meatball Wraps. Ohh yes I did. You’re welcome. This burger was de-lightful. I’m on a roll with burger ideas and know they tend to fizzle out a bit once I get into fall/winter mode, but this one was so fun. 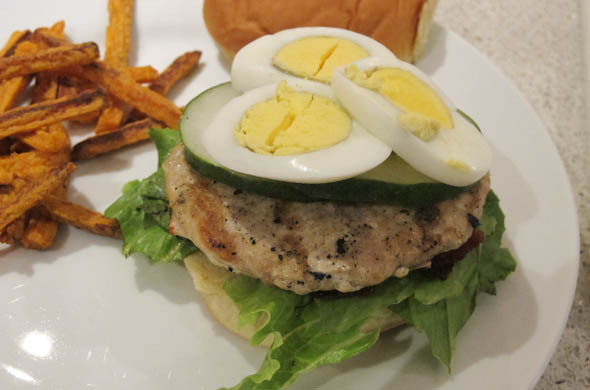 The burger toppings are inspired by a cobb salad. 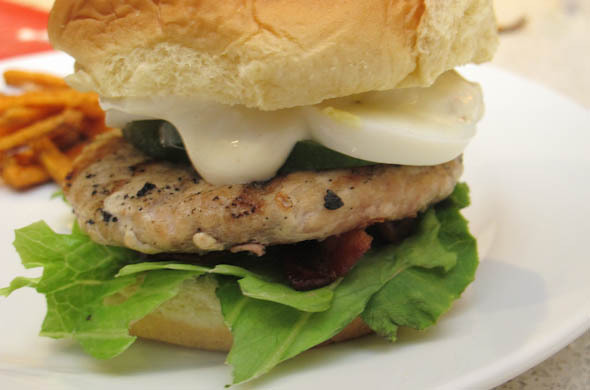 Hard boiled eggs, bacon, sweet lettuce, blue cheese dressing, etc make eggs-cellent toppings! It’d also be great on a cobb salad bed rather than a bun, if that’s your thing. You could do this year round in a pan/griddle and it is a great cooking-for-one dinner idea or prime when you’re in the “what’s for dinner” scrounging through the fridge. 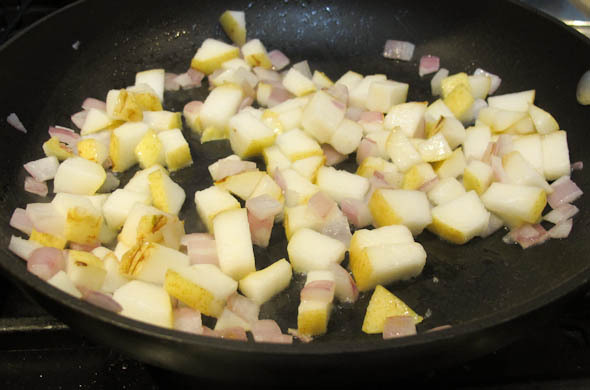 Hard boil the eggs and let them cool then pan fry the bacon until crisp. 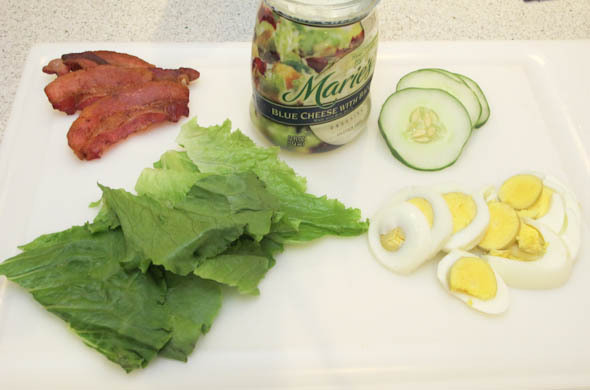 Top with lettuce, cukes, egg slices, bacon, and blue cheese dressing. This was a fun one. I used potato rolls that just seemed to make this burger. Yum.